Home of the Buddipole, hf/vhf portable dipole antenna system which is designed to be modular, versatile and efficient. Showing recent results 1 - 1 of 1 products found. 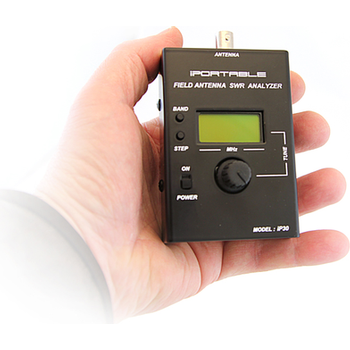 The iP30z iPortable Antenna SWR Analyzer is designed for field use and is an excellent choice for working with the Buddipole line of antennas. This compact battery powered unit has an easy to read frequency display and measures SWR as well as Z (impedance) in the HF Band. The SWR readings quickly show you the actual VSWR measurement. This is the easiest way to adjust your antenna quickly in the field without any guesswork.